Week TechVideo, 2013 #13 - Happy Easter! Matthias Paul Scholz is amongst the MCPs who have received one MINDSTORMS EV3 kit for beta testing. Here is a teaser from the rabbit he made to wish you an Happy Easter! We want to see more like this! Please avoid sending requests to post specific models on this TBs section. 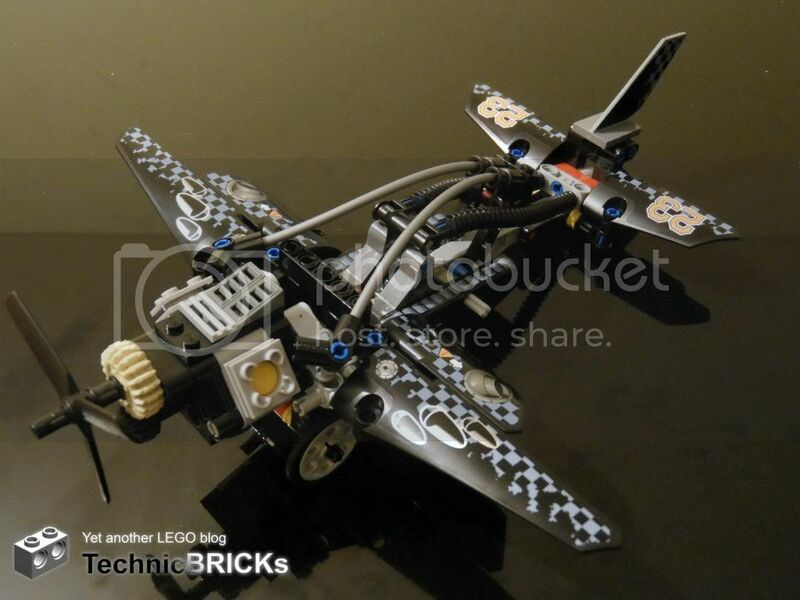 We understand some of you would enjoy to see your creations featured here, but please understand that because only one video gets highlighted per week, it is impossible to accommodate all the great MOCs continuously build by the Technic builders out there. They simply won't fit all and that's also not the purpose of this blog (see the header statement). Many of your MOCs are scanned anyway and listed for later publication when they do not fit immediately. However some remain in the backlog queue just for too long and eventually loose the relevance or the publication opportunity window. 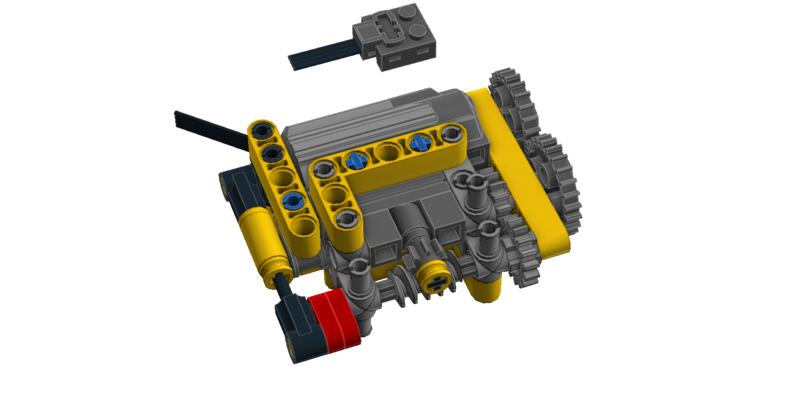 As a rule of thumb, we also avoid publishing MOCs that have been featured by their authors or other fans at some other great web places dedicated to the Technic community out there. It doesn't mean that occasionally some won't get published here anyway. It is not the news of the day... but it was not mentioned here at TBs before. Although it is still worth to do! Blakbird prepared the Building Instructions for Paul Boratko's Porsche 997 GT3 (another of his great 1:10 supercar models) an it is available to order online here, for the small amount of $12. There was also an eBay auction running for a built model of this, but I was not able yo publish it in time anymore. The winning bid was $550.00 though. Not very expensive this time, for this kind of Paul's car auctions I'd say. 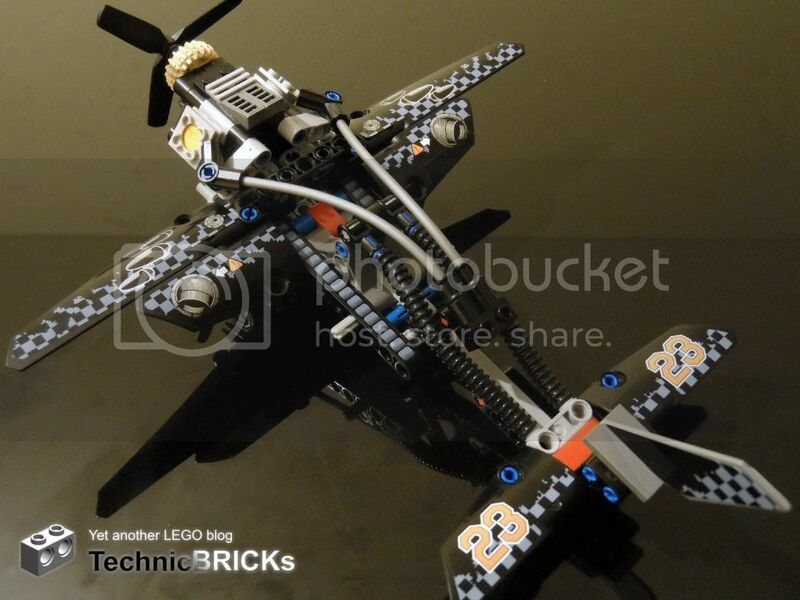 In the recent past we have seen several milling machines made with LEGO MINDSORMS, by Arthur Sacek [1, 2]. This week he published a "remake" from is original work in this area, built in 2005. 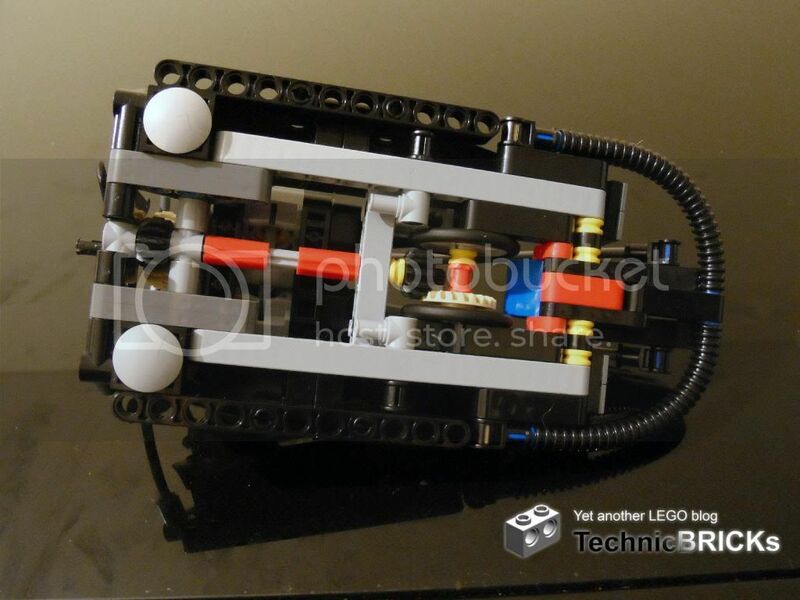 A LEGO RCX Lathe, built for an educational event... it was the beginning of the LEGO milling machines. Amazing work! Loved the idea of a combination with the line automatic recognition and reproduction with the lathe. We are almost in the 2nd quarter of 2013, and 2012 Q4 TechVideo poll was still to run... But it is never too late. Vote the videos weekly featured here at TBs during the above mentioned quarter. In the next two weeks you can choose your favorite video(s) among those highlighted here during the 4th quarter from 2012, under the 'Week TechVideo' tag. As usual you can vote for more than one video, if they reflect your preference. 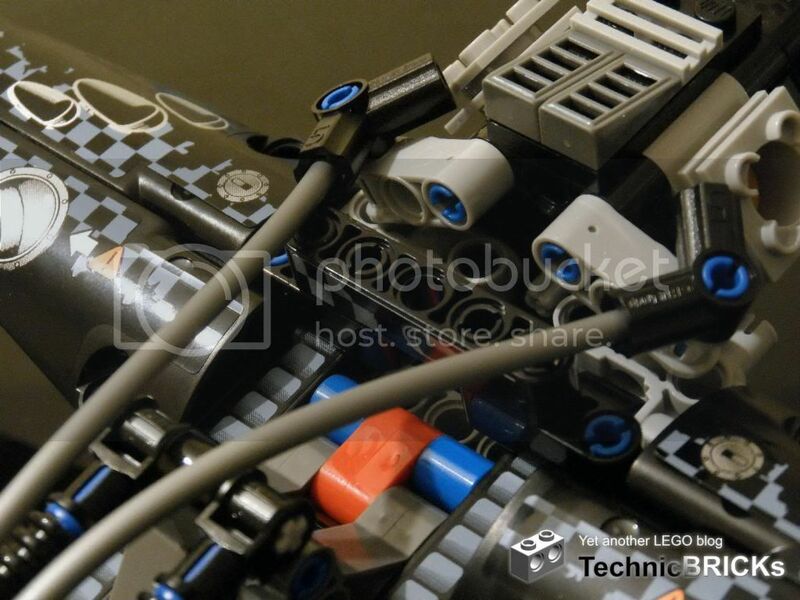 - This video poll does not aim to select the best MOC, but rather well done videos featuring a LEGO Technic model, a nice video reportage from a Technic subject as part of an AFOL event, or some cool/innovative thing with interest for the Technic fans community. 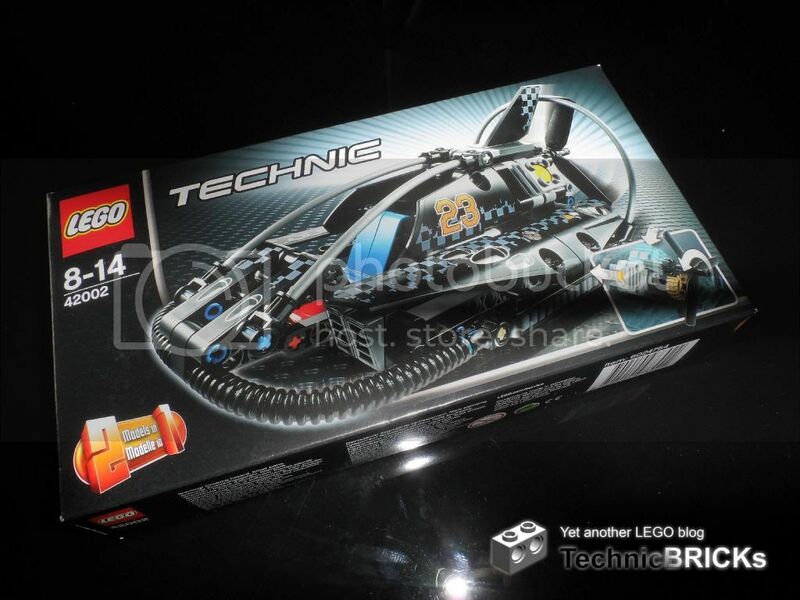 - These are videos that somehow caught my eye at some point, thus based on a personal choice, and do not intend in any way to be considered as the best representatives from the work done by the Technic fans. - Please notice, this is a poll taken for the fun of it. The authors of the videos here featured are not rewarded, independently of the final rank position they will achieve. 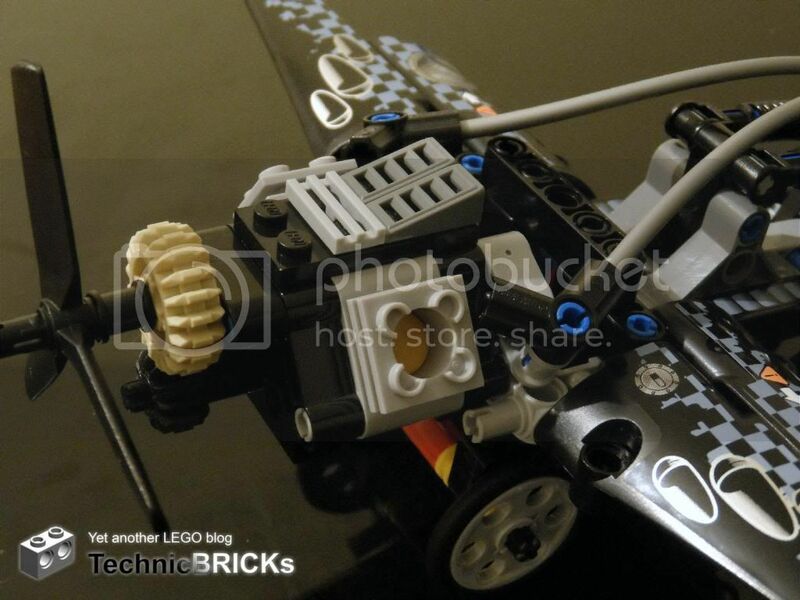 Today Jeppe unveils the new Exclusive co-creation model (winner of the LEGO Technic 2012 Competition) at the official LEGO Technic blog and we got to know its reference is gonna be 41999. Here also the sneak preview! YOU DESIGN IT! THEY MAKE IT! Gorgeous! Do you see the differences? There are quite a lot! Six different panels in the new color at least. Inclusive the newer version of the 11x3 Curved Panel. Did you still remember this? For several occasions we have been featuring here diverse proposed designs for Electric Valves  and Auto-Valves/Pumps [2, 3, 4, 5] as developed by different builders. Today I'd like to highlight another recent design for an Auto-Pump by Jernej Krmelj (Zblj), which I found very compact and useful. 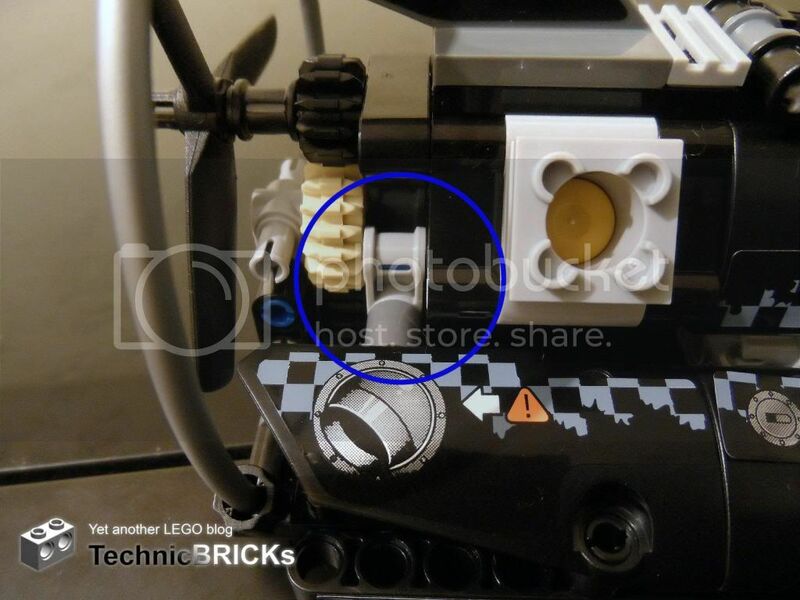 Please notice the render on the left does not use the actual pneumatic switch but a brick base representation of it, as it is likely not available at LDD. It seems to me, probably the most lean design for an Auto-Pump that I've seen so far. What do you think of this concept? Along with the 42010 Off-road Racer/42011 Race Car duo (reviewed here), here we have the smallest set for the semester. 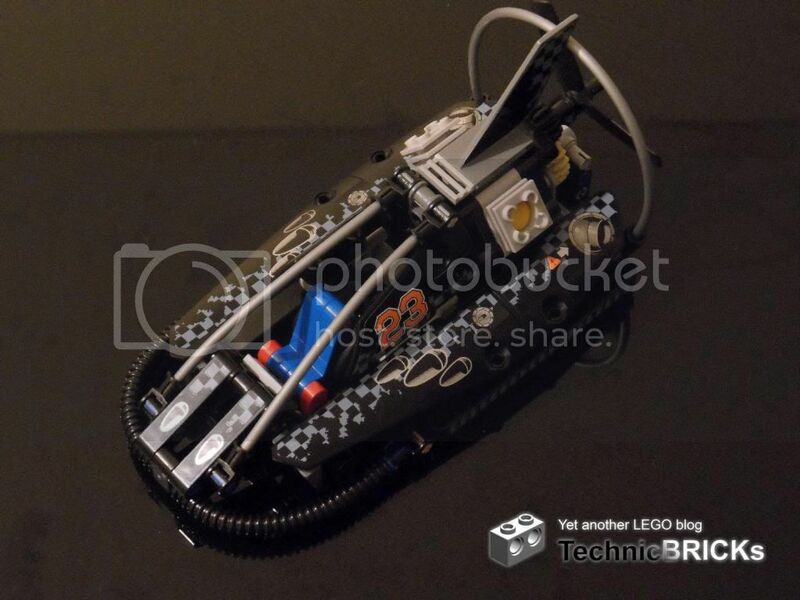 It represents a black hovercraft, which, judging by the relative size of the seat and the propeller, as well as the stickers, is a small racing vehicle, not one of the large transports (like one of the models for the 4997 Transport Ferry). Although the colour is a bit subdued for a racing vehicle, it's actually not bad: practically all parts are black, with some greys here and there, and the traditional blue for Technic seats. 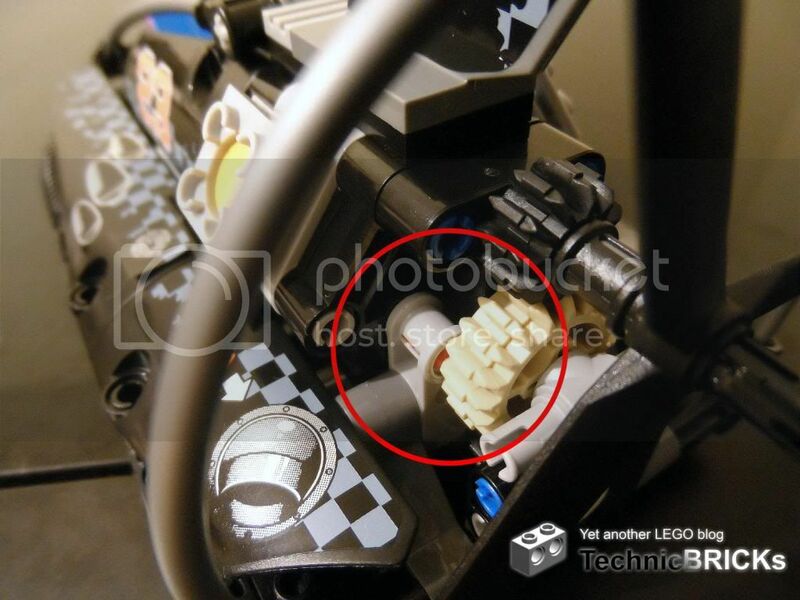 Unlike other sets (9398, I'm looking at you), there is no colour clash peeking from underneath the exterior elements. There are plenty of stickers, both big and small. 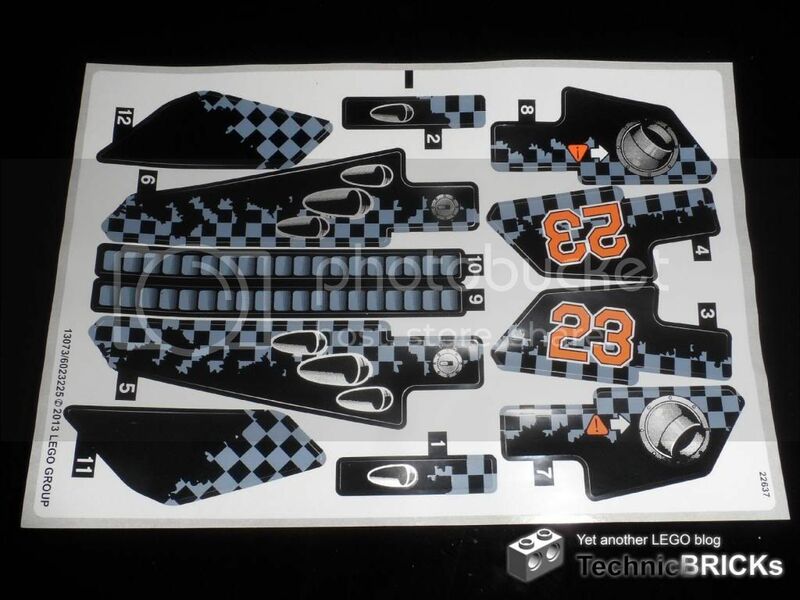 They add a lot of detail, like racing decals, air intakes and exhausts, and the ribs of the skirt in the sides. Although personally I don't like stickers (they reduce a part's "MOCability") and the model would probably still look nice without them, they favourably contribute to the look of the machine. Despite its small size, it is still larger than the first-semester "entry level" sets of past years. Judging by the rumours, this year sees the smallest set, the 42001 Mini Off-Roader, released on the second semester instead. Its two functions are linked to the same action. When it is rolled along the floor (perhaps it floats, but it shouldn't do that very well and I don't want to try), wheels hidden underneath spin the rear propeller and make a V2 engine work. The wheels are at the front, while the rear is supported by a pair of plates with rounded bottom. With time and play, these plates will eventually wear down, but I kind of understand the decision behind this arrangement: with traction at the front and freedom to skid at the rear, it's easy to play with the model, making it turn and spin realistically. Like other models by Alfred (the 8264 Hauler and the 8071 Bucket Truck come to mind), great attention has been given to the general shape. The hovercraft feels solid, its proportions feel right, and the rounded shapes both look good on this kind of vehicle and are a welcome variation to the generally angular models we see made from LEGO parts. The two ribbed hoses at the front, together with the stickered beams at the sides, make for a convincing skirt. When I held the box for the first time, I immediately noticed how heavy it was. 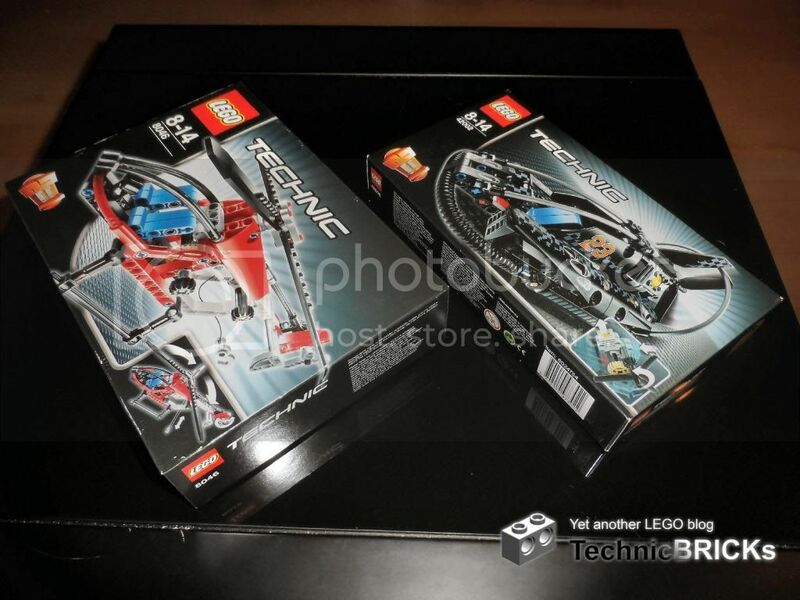 Not that it really is that heavy in the absolute sense, but, for the typical weight of a small Technic set, its box is quite small. 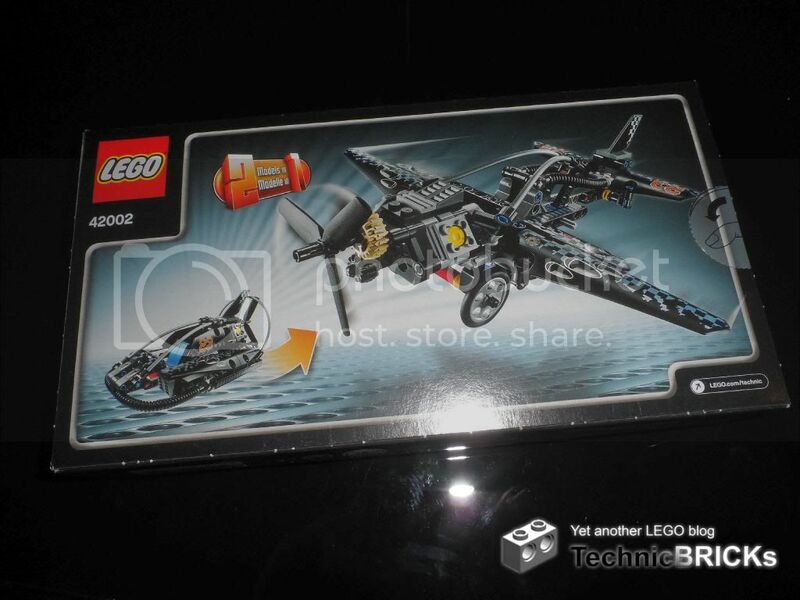 For example, the 8046 Helicopter, which has a similar ranking among the sets of its year, has a much larger box. I welcome this change, as that means the box takes less space on shelves (both at the shop and at home), and we receive less Billund air. 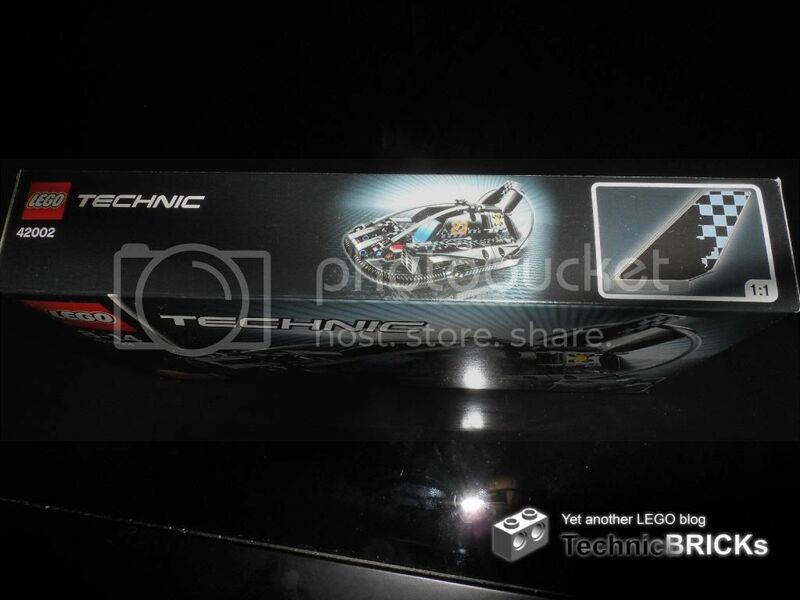 The front of the box has the typical elements: the LEGO and Technic logos (in case you weren't sure about what it was), a big photo of the model in action, the set reference and recommended age bracket, the "2 models in 1" stamp we've been getting since not long ago, and a detail of the set's functionality. The top shows the usual 1:1 image for scale: in the case of the 42002, it's the rudder. The rear is surprisingly bare: it shows again the "2 models in 1" stamp, a picture of the plane B-model, and a smaller picture of the A-model indicating that the parts for one are used to build the other. There are no other images or details, and an inexperienced potential buyer gets no idea about what the B-model does. As usual for sets of this size, the box is opened by tearing up one of its sides. 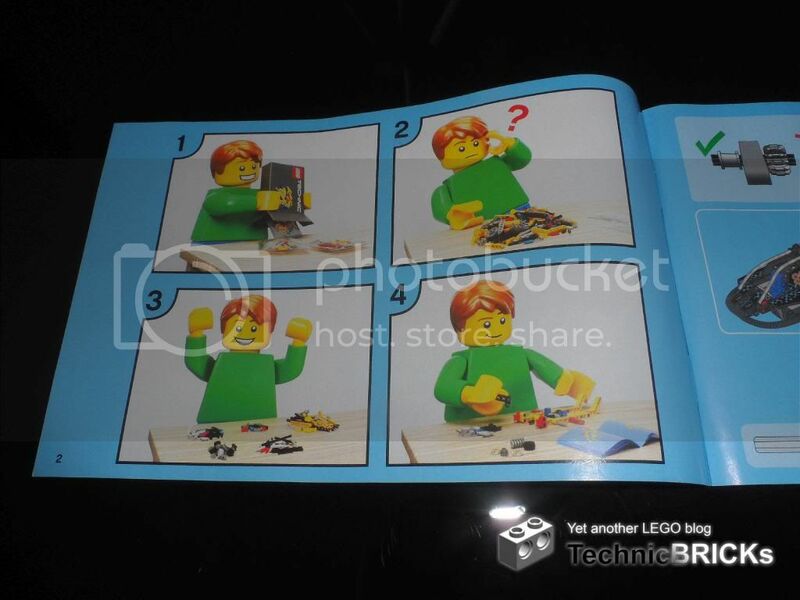 Inside we find that the box is tightly packed with instruction booklets (unlike larger sets, instructions for both models are included), the DSS, three unnumbered bags with the parts, and a loose rigid hose. 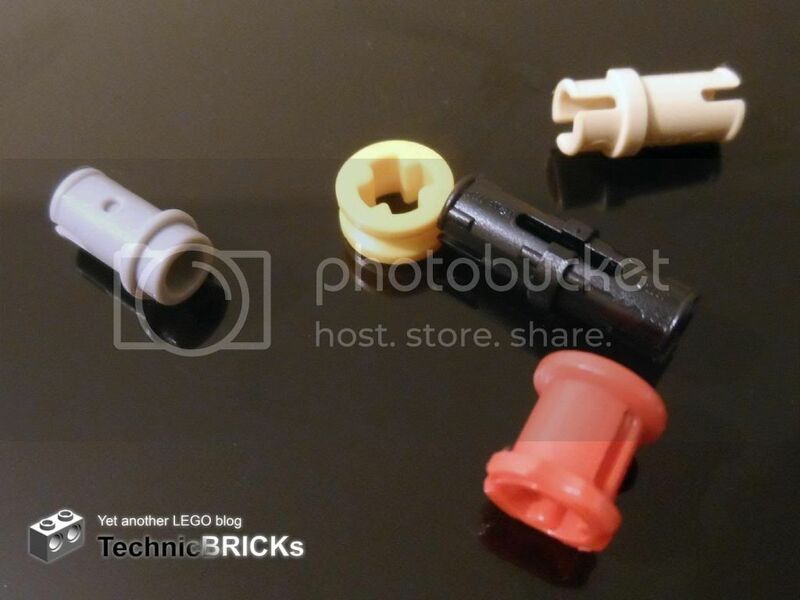 There are no new parts in this set (or else it wouldn't be featured in the latest TechReverse Challenge), although the Pins 3/4 now come in tan instead of dark bluish grey. I don't understand this change, as Pins 1/2 (the part builders could confuse it with) only come in either light bluish grey or blue. 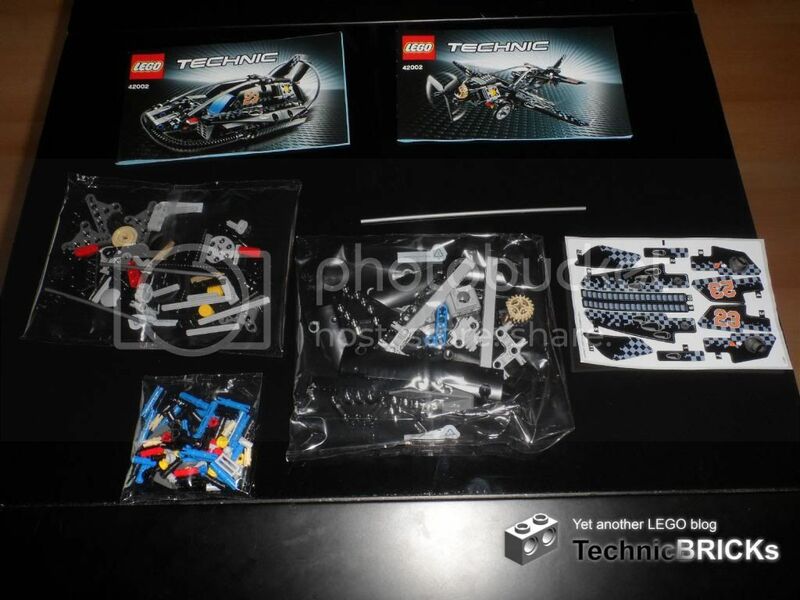 This being a small set with no new parts for 2013, not much is to be expected. With that in mind, the Wedge Belt Wheels and their tyres aren't very common nowadays. 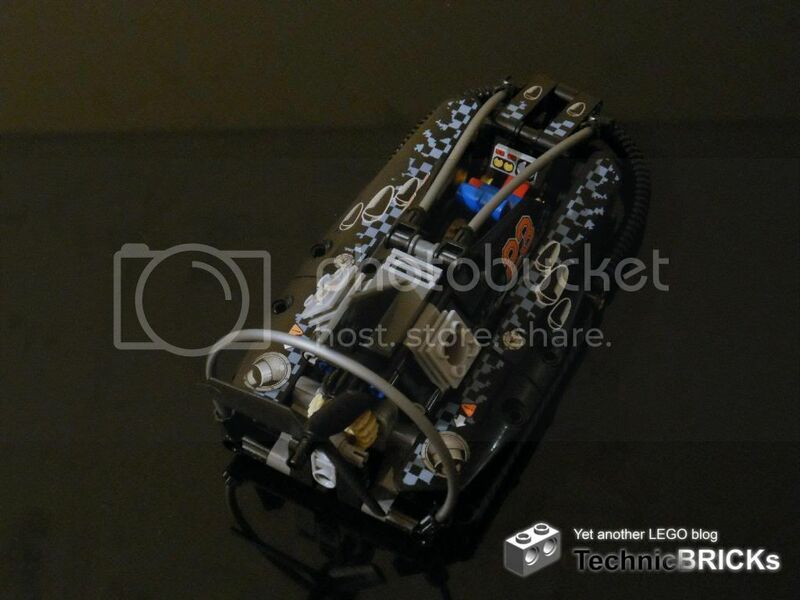 The engine block parts and the numerous panels (6) should appeal to MOCers too. cheese graters are an unusual sight in Technicland and are helpful for adding detail without resorting to stickers. When I opened up the instruction booklet, I was greeted with a similar image as Jetro did. And people complained about few parts per step... Now there are even instructions on how to follow the instructions on how to build the model! Building the model is an enjoyable experience, with no hard or repetitive steps. The hardest part is applying the stickers: aligning them correctly with the large panels is no easy feat. Rather than showing you images of the half-built model, how about showing it building itself? This is the first time I do this, so please forgive me for the general lack of quality. 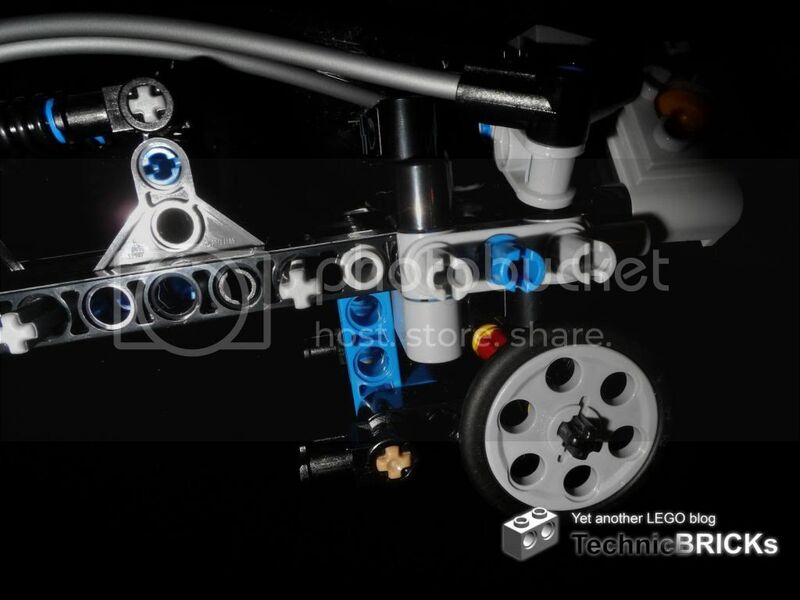 However, one thing baffles me: the rear assembly for the transmission is held on one side by a 2L axle, while the other by an axle pin with friction... Could the extra axle or axle pin be needed for the B-model? That's the main reason I decided to build and review it along with the A-model. In the end, after assembling everything and applying all stickers, it's done. 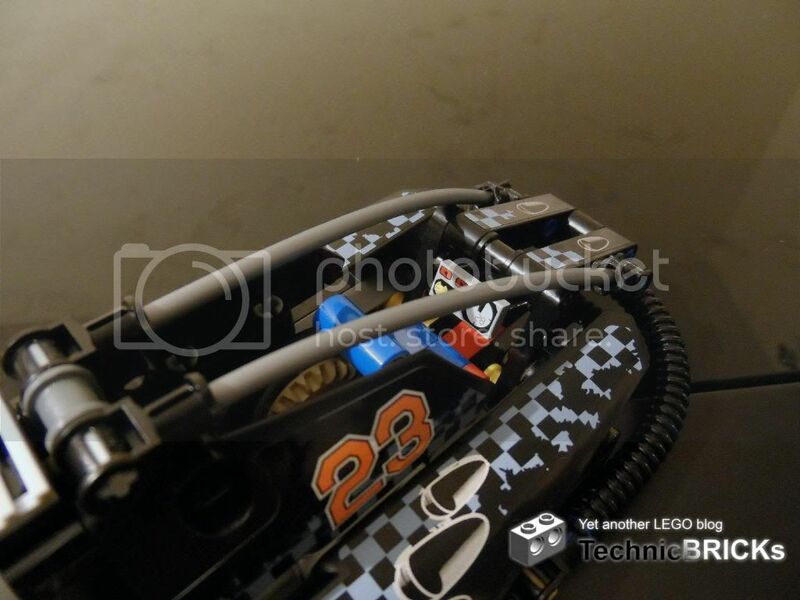 Besides the stickers, the set includes a printed tile for the dashboard. While it is a nice touvh of detail, I'd rather have a yoke there for the pilot to steer the vehicle. These are the spare parts that were left. 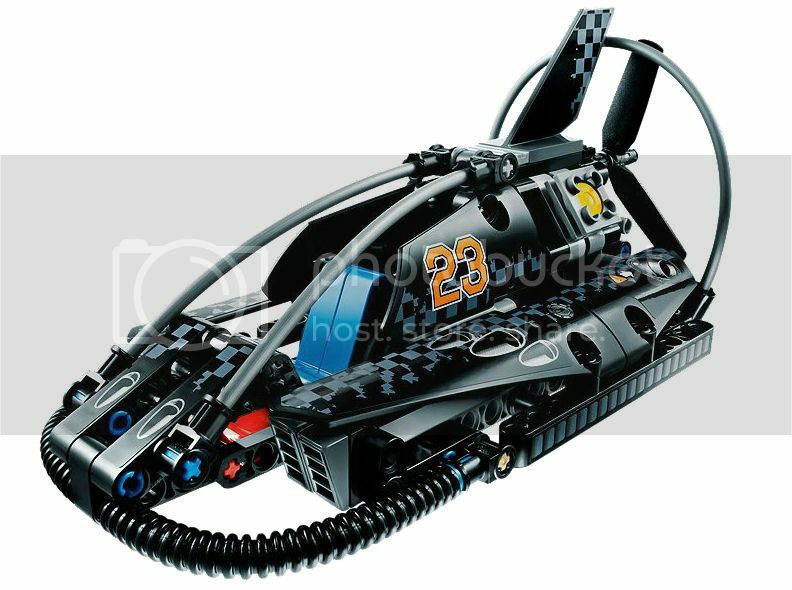 Like was said at the introduction, pushing the hovercraft along a surface activates its two functions: spinning the propeller and moving the cylinders on the V2 engine. The wheels connect to a longitudinal axle at the bottom via a 20T bevel gear and a 12T double bevel, which then bring the notion towards the rear. There, another 12T meshes with a 20T above it to bring motion to the cylinders. This 20T connects to a third 12T, which finally drives the propeller. This gives a global ratio of 1:1 for the engine and 1:1.67 for the propeller. The 20T on the wheels is oriented such that, when we push the hovercraft forward, the propeller spins in the correct direction mandated by its pitch (it pushes instead of pulling). There's also a pseudo-function: the seat is connected to the structure only by an axle, and is free to rotate around it. This makes it able to pivot forward like the front seats in compact cars do, when passengers need to access or leave the back seat. But anyway I believe this is more a side-effect of the model than an intended feature. The B-model is a prop plane. Judging by the dimensions of the cockpit, I’d say it’s a sports model. 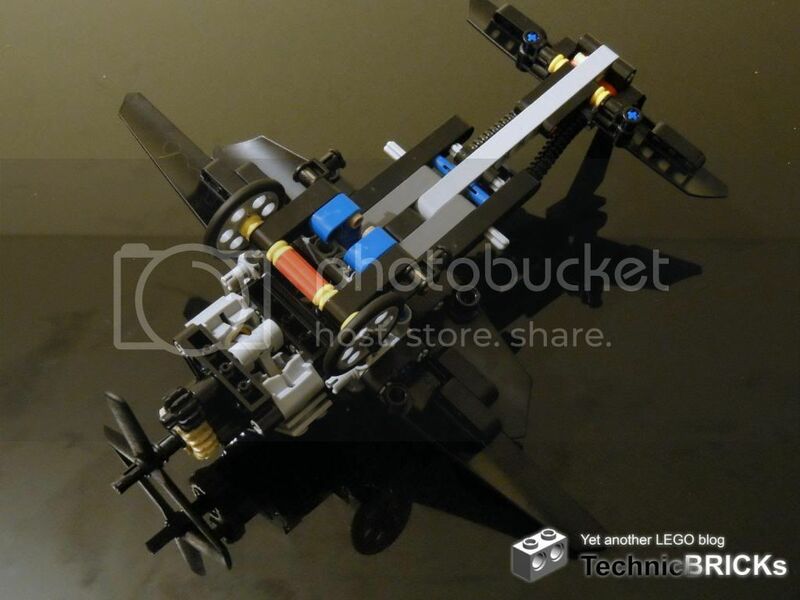 Its function is to move the V2 engine when the propeller as spinned. Unlike the A-model, there’s gearing up from the propeller to the engine, instead of gearing down; I guess airplane propellers spin slower than hovercraft propellers, or maybe their engines run at higher RPM. The general shape is good for a B-model. I expected the undercarriage to make the engine and propeller work like on the A-model, but admittedly that would certainly be too complex with the available parts. What I really don’t like about the model is the feeble connection between the engine and the rest of the fuselage. As you can see below, they are connected by a single pin long with friction on each side, then partially supported by two transverse above and below. 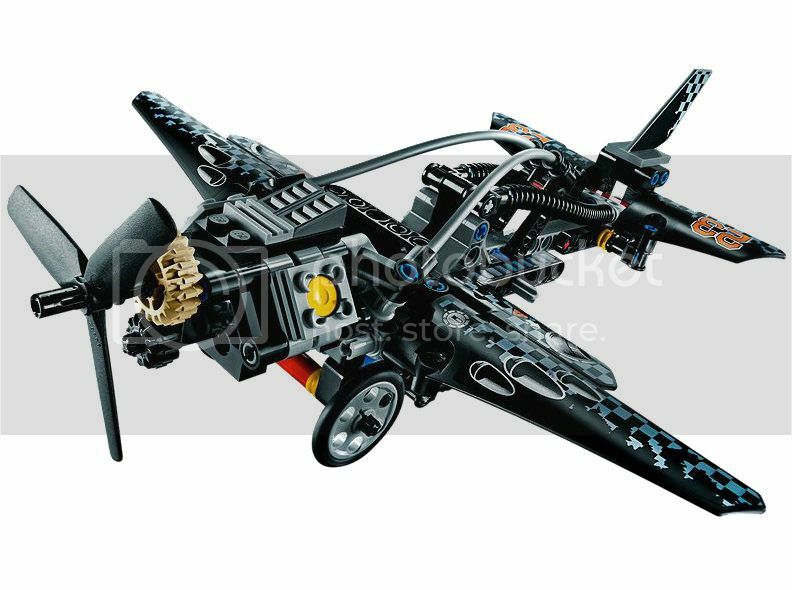 Even though the wings help reinforce this connection, this is still not enough and the engine assembly tilts slightly forward. The undercarriage has a similar, yet not as noticeable, problem: it attaches to the fuselage way back under the seat, and merely touches the 5L beam above it. It’s interesting that the instructions explicitly tell you to put stickers in odd places, like where the instrument panel is expected to be located, or above the landing gear. This is because those stickered parts are in more relevant positions on the A-model, and this way we don’t have to take out and put them back on when we disassemble one and assemble the other. 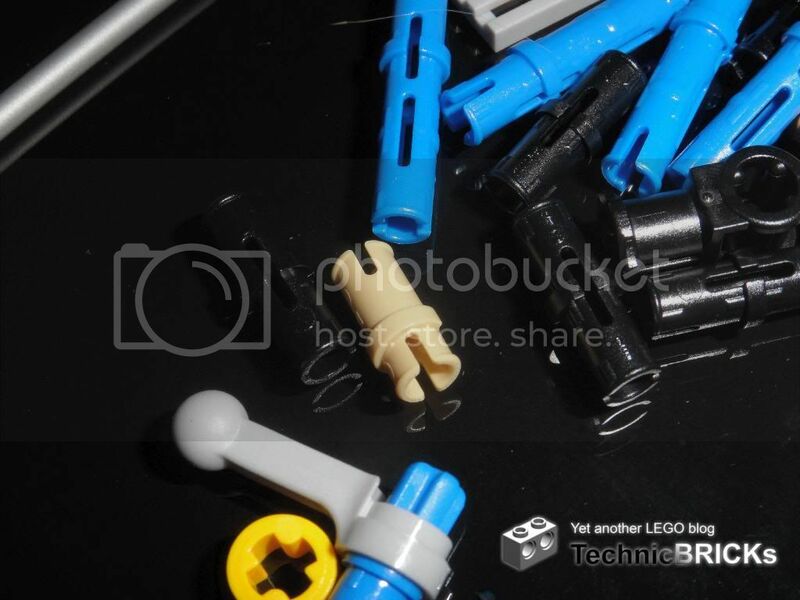 As expected, there are quite a few leftover parts. Remember what I wrote previously, about the strange choice of parts for attaching the A-model’s rear assembly? 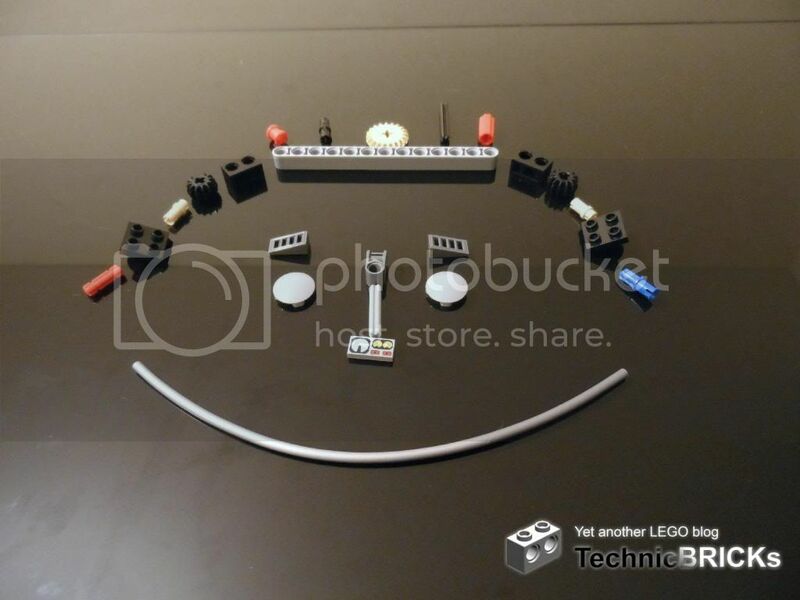 Here is the photo again, for reference, as well as a "portrait" of the parts. I was pleasantly surprised by this set. While on paper its functions are nothing to launch fireworks for (what else would you be expecting at this price range? ), they are well implemented and on a model that is a pleasure to look at and to swoosh around. 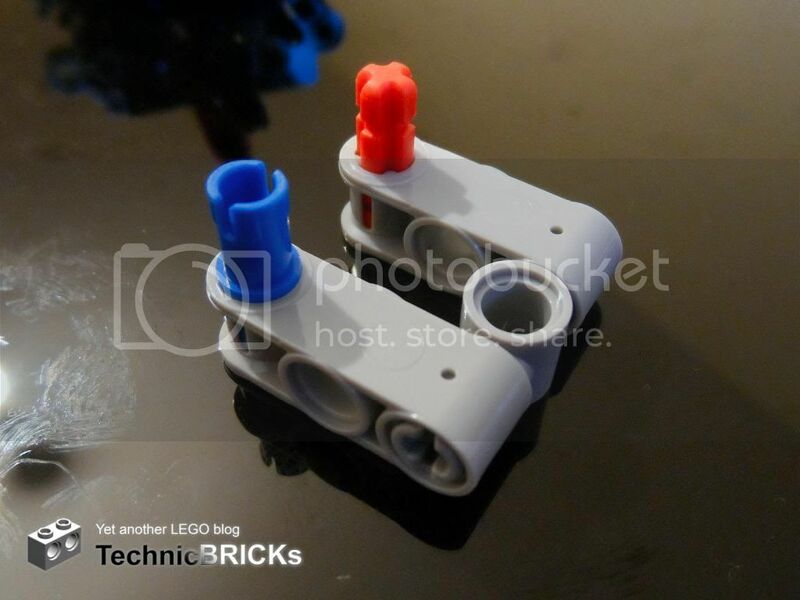 I'm still baffled at the part choice for attaching the rear assembly, and I'll be sure to ask the reason for it if I ever get the chance to get in touch with the designer and/or the rest of the Technic team. The B-model has okay functions (for a B-model), but its flimsiness really doesn't taste like "official LEGO model". I didn't have any regrets when I decided I'd disassemble it and rebuild the A-model instead for the event my LUG will be hosting on April. Another thing I didn't like much is the amount and size of the stickers. While they add realism, they reduce reusability and young kids might have a hard time placing them correctly. Finally, while I was building the set, I noticed something not related to the model. You probably know how hard it is to insert thin 1x2 beams on axles and to take them... apparently TLG redesigned slightly that part to be slide more smoothly. However, it introduces some serious backlash, which I don't remember experiencing with "old" versions of the part. While being easier to assemble and disassemble is good, personally I prefer "sticky" parts that won't wobble. 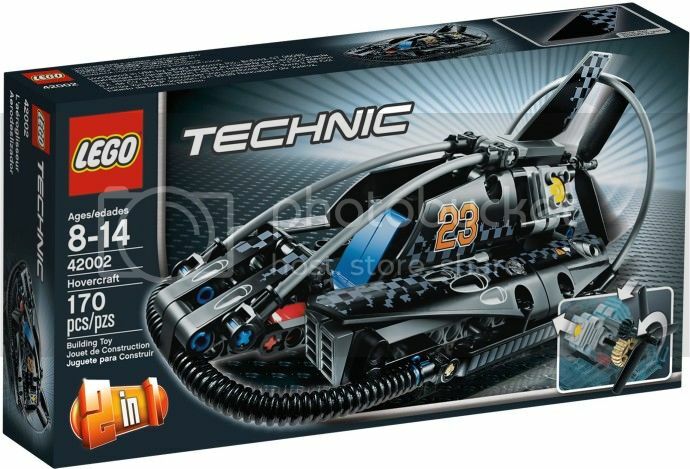 Being positioned among the lower ranks of this year's Technic line-up, this set gives expectedly good value for money, its theme is unusual (just look how few Technic watercraft sets there are), and the design is great. The areas where the set is poorer are the B-model and the parts innovation (the most noteworthy parts are the panels and the wheels, plus there are no new parts). Like I wrote in the previous section, this is globally a good set. Kids will like playing with it, and adults will like having it on display. Its compact size and small price also help in making the purchase decision easier. Week TechVideo, 2013 #09 - Is it long enough?